I use ‘florists choice’, quite a bit through my wedding pricelists as a baseline price and I thought I ought to do some explaining, just so that you understand how this works and why you get a really good deal with it! 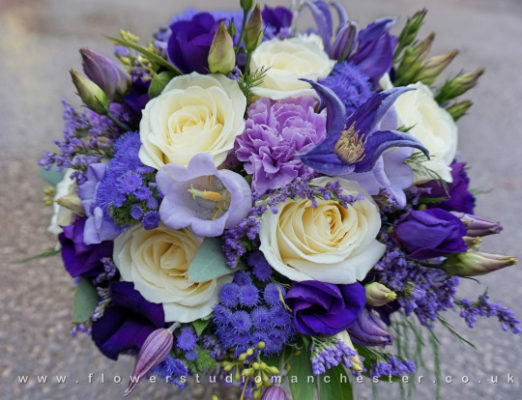 When you choose ‘FLORISTS CHOICE’ as an option, I will go to the flower market the week of your wedding and choose flowers which match your style, colours and wedding theme, I won’t guarantee specific varieties or flowers, but what I will do is choose the most beautiful blooms to create with. Sometimes new varieties are there, or the most amazing flower which would look stunning against your bridesmaid dresses but we hadn’t considered. So does this mean you need to worry about what would be used for your flowers? Not at all, I am hugely passionate about creating beautiful flowers that you will love, and usually you get something more amazing than you could ever have imagined. 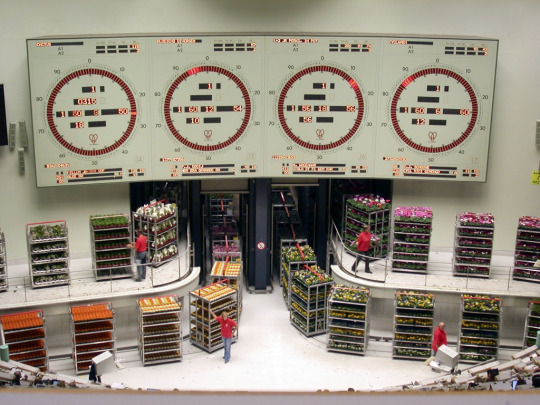 Take a look at some photos of previous ‘florists choice’ bouquets. Above: Yins florist choice bouquet in Purples, lilacs and ivory. 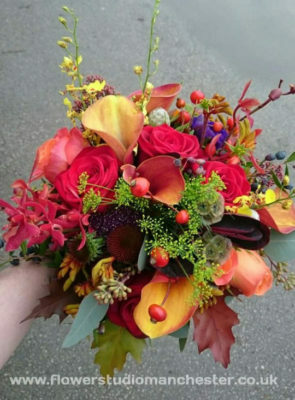 Above: Emilys florist choice bridal bouquet in Rich autumnal colours. 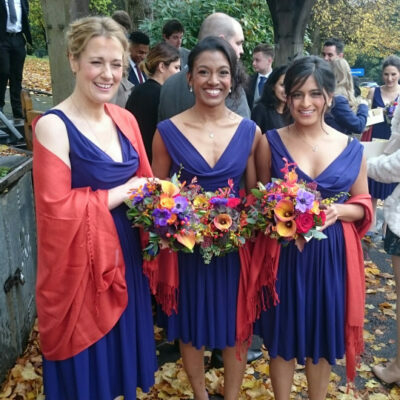 See bridemaids photograph below to see just how well that purple anenome matched their dresses. 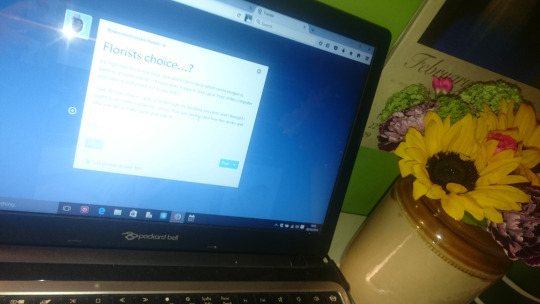 Florists choice certainly isn’t for everyone but suits some people, especially if you are on a budget, or don’t want to add to the list of decisions which need to be made whilst planning a wedding! Why not book your consultation now.